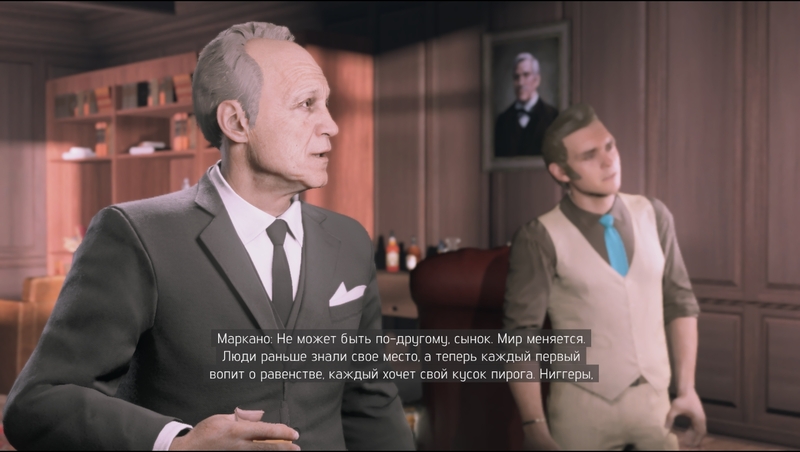 Mafia III is a long expected continuation of the game series about life inside the organized crime. The action now takes place in New-Bordeaux in 1968. It goes over one of the most unstable years in the USA: lawlessness, illegal business, mafia, Ku-Klux-Klan, Nixon and drug dealing. 1968 is probably one of the craziest in the history of the USA. The country is led by Richard Nixon, who is considered as the worst president in the history by some people, racism is at it’s peak, Ku-Klux-Klan and Black Panther. Brothels, underground gambling – everything to make mafia prosper. 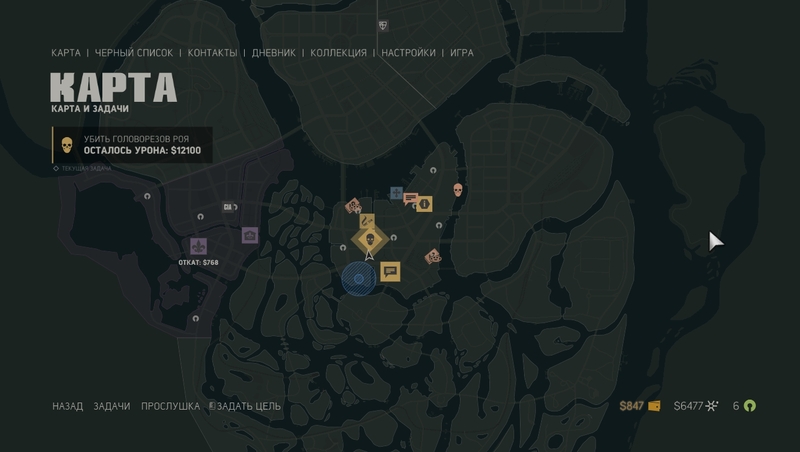 All this is in the middle of the war in Vientnam. By the way, the racism issue has a big part here. Not even twice you will notice people with very bizzare reaction to Lincoln. Ones will hold their bags tight, others will even curse on him. And the police prefers to keep their hands on holsters, watching his back. 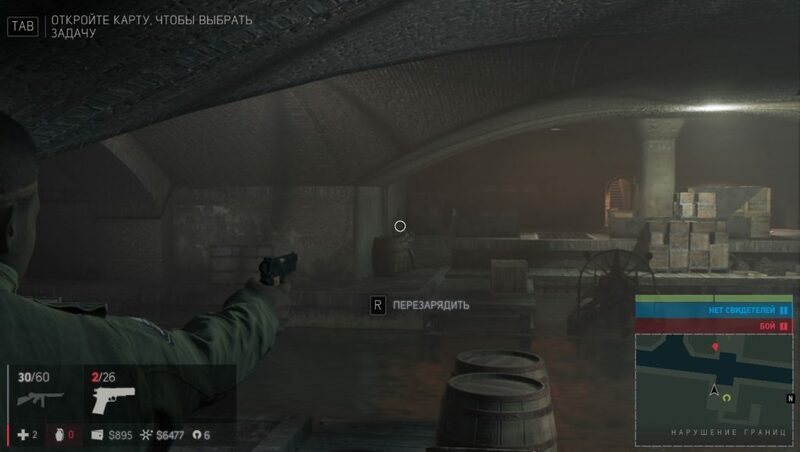 At the very beginning of the game, as we try to get inside the vault, the guard, walking us to it says:”And who the hell is that N*****?” A couple minutes later we are listening to him telling us how his brother went through the war, got medals for it and still can’t find a job. At the same time some “ape” managed to earn a place guarding money. Cruel, rough, lifelike. The story is really the strongest prt of the game. If there is something worth playing for, we’ve found it. Present days entwine what took place in the past, making a picture in details. Step by step, we learn the story of our protagonist, who just came back from Vietnam war and decided to help his family before he took off. However, the Italian mob decides to kill every member of this black family gang and all we’ve got left to do is revenge. Emotions and gestures are done very well, together with charachter types. Though it’s a long, long way ahead to reveal charachters, even the protagonist. Small things show us that war changed Klay. He even decides to sleep in the basement instead of going to his bedroom. Combat situations make him think fast, with no hesitations and he manages it just right. Lincoln suffers from loss. Loss of what he used to cherish. However, we won’t get a heartbreaking story of a liftetime crying. All we will see there is a path of a killer. A man who wants to pay back with all cruelty he has in his arsenal. And he’s got a lot. No doubt, the passion is also added by a perfectly picked soundtrack. One cannot simply leave the car without finishing the favorite song. Well, the story has its cons, though they can be called such only a bit. 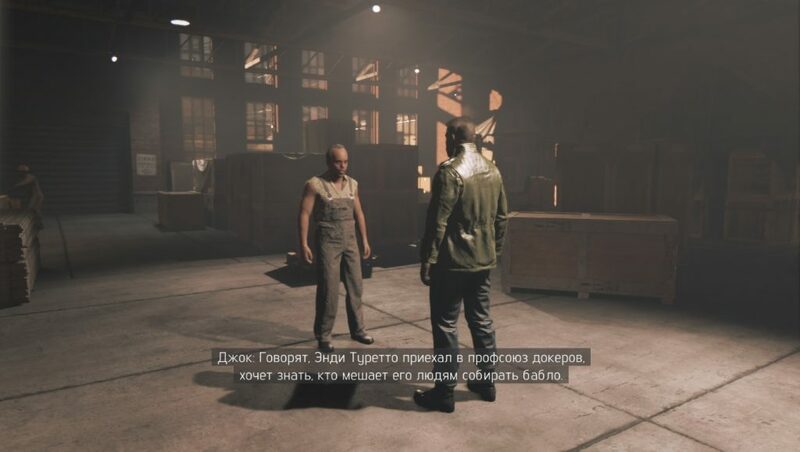 The prologue goes like this: 10 minutes of gameplay, 5 minutes of video. The video is great, colorful, with perfect direction and always in place. Don’t get us wrong, but by the end of the introduction to the game, we get a rash due to the lack of gameplay. We get a machinegun, the elevator doors open and… another video. This is very personal, because through these videos we get the story and 1 hour prologue here gives us more story, than some games do at all. At some point, you start to to literally feel the cinematographic art here with your skin, like in good old Mafia I. On the other hand, the gameplay we see is the same running with sticks rifles. And yes, missions here are basically the same, but let’s be honest: when was it different? 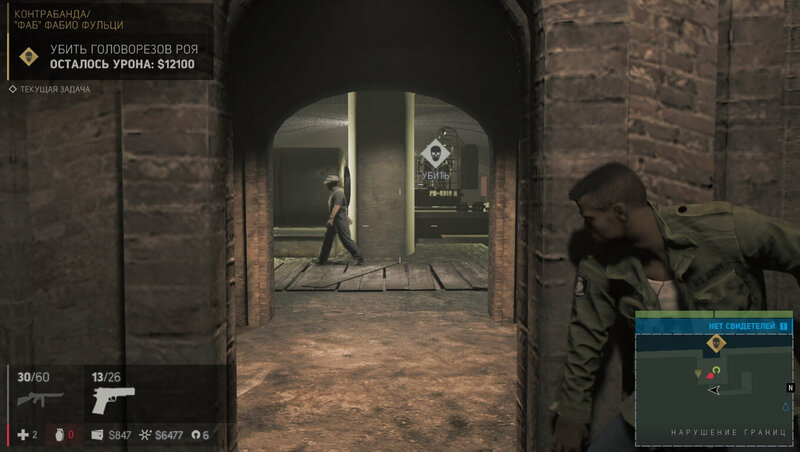 “Mafia III” can’t boast of its innovations, but good old features from other games work well here. We can see everything we should expect from a nowadays shooter. One of the main features of the game was also saved pretty much. Transport controls is still fun and complicated. We are free to choose between simplified and realistic driving and the police is watching us to follow the rules on the road. Both shooting and driving tastes well. Turns might seem too difficult, but it’s the era of muscle cars, isn’t it? Combat system is another song here. Tompson sub-machine guns are useless in the city, just like in the reality. But we still pick it time after time, just because we like it. It’s unclear why do we use these strange names for weapons? Where do all these Andersons and Elig-9mm come from? The looks are more than familiar, but nevertheless, it’s just annoying. Although the medium difficulty makes wipe away the tears of good old times. They still kill us with a few bullets, like they did back in 2002. Well, we can surely find a buletproof vest, but that won’t allow us to take na M60 and go through dead bodies like some Serious Sam. We just won’t die that fast. Enemies become even smart on higher difficulties. They can throw grenades and Molotov cocktails, go behind your back and they can’t see through walls. Though AI can sometimes play dumb and stop the advance. They can even stand by an object without any position changes. If our big pal will hide behind a couch, noone will notice him. Who knows whose head is there, behind it. So what? Talking about couches, imagine that there is one in the room with a bad guy sitting on it. And there is another one just 10 meters aside with a good view on the entire room. OUT OF A SIDDEN, a huge man appears from behind of this couch, puts a knife into the bad guy’s shoulder and takes him away. No panic, the witness will just walk to the couch and see what are we doing here after all. Yep, they tride to give us some stealth, but it didn’t work. The examples are strangely long animation of lethal killing and even more strange reaction of enemies. Just two meters away from them, there is a “stealthly” moving killing machine, which is perfectly fine for most enemies. Not realistic at all. 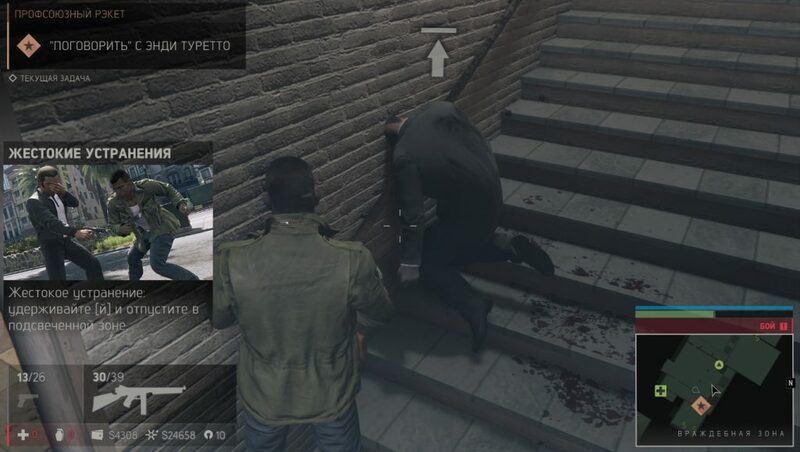 By the way, killing from behind the corner makes no difference for AI. It’s even a kind of an exploit, which makes enemies folow into your bait one by one, time after time. The fact of presence for this stealth is just a due for fashion, never a gameplay feature. However, lethal killing moves are wonderful and we strongly recommed to kill just a few gangsters in stealth at the beginnings of missions in order to enjoy your knife. And try feeding them to aligators! It’s fun! The biggest problem here is the technical part. The game is extremely raw. It’s rich, and the fortune is crashes and bugs. Enemies’ heads clip into Lincoln’s armpits, cars float in the air, the Vietnam war veteran may even fall under the city textures. YouTube is already swarming with videos from hateful players. So, is the game worth it’s money? It’s more of a rhetorical question now. We bought the game, so surely, we try to find a justification of money spent. And we have one. The story is catchy enough to grab you for like 3 hours in the evening day after day. No weekend walkthroughs – the gameplay is still very repetative and brings bore into the homes. However, it’s the best Mafia game we’ve had since the original game. We, at the office are united by the thought, that the game would perfectly fit us if it cost half of it’s price.